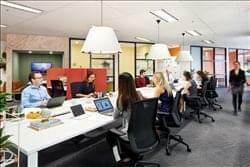 Find My Workspace lists over 95% of the serviced offices market in Sydney. Simply click Request Quote to check pricing for one office, or Add to Basket for multiple offices. A coworking space and entrepreneurial hub for grownups and startups. Here, you are able to meet like-minded individuals, share ideas, collaborate and grow your business. This space believes that a workplace should be more than a space with desks and chairs. It should be somewhere that creative people come together and create success. The space offers hot desking, dedicated desks and private offices. There are a variety of beverages available including; craft beer, fresh fruit water and micro-roasted coffee – perfect for enjoying a relaxing lunchtime coffee break or unwinding after a productive day. This professional business centre offers fully equipped business lounges, private office and meeting rooms. The office space is designed for efficient drop-in work for traveling professionals, perfect as a business hub. The centre boasts WiFi, a full kitchen area, a refresh bar, a lounge area, showers and print, scan and copy facilities. This centre is a development consisting of three high-rise premium grade office buildings which collectively offer 280,000 square metres of office space. Awarded with 6 Star Green Star rating from the Green Building Council of Australia (GBCA), the complex delivers abundant light and a sense of space provided by the approximately 3-meter high ceiling. The expansive floor plates and the commanding harbour views set new benchmark for first-class commercial space in Sydney. 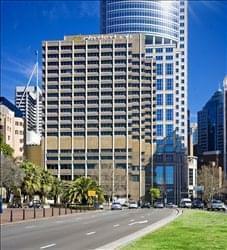 This is this centre’s sixth location in Sydney is situated on Level 24, of this iconic building. It leverages the best features of the development to offer clients unparalleled office environment embellished with high quality furnishings, state-of-the-art meeting rooms as well as secure technology infrastructure. Complemented by great flexible workspace solutions to address a wide range of client needs. This centre in Barangaroo is in the heart of Sydney’s largest urban renewal project since the 2000 Olympics. The centre offers a mix of collaborative co-working spaces, virtual offices and private serviced offices. All of the window offices have breathtaking views of the Harbour from the 25th floor. Offering ready to move in and furnished office spaces, creating a smarter and hassle-free way to work. With multiple meeting room facilities, training rooms, boardrooms and a café onsite, this centre have created an easier way for you to cement and build long term relationships! The next generation in premium-grade sustainable office space, this building combines leading-edge design, technology and sustainability in one of the world’s most enviable locations. This centre has a cutting-edge design with highest-quality contemporary fit-out to create the most prestigious serviced office location in Sydney. Not only does it provide unrivalled prestige, but this centre has also been awarded a 6 Star Green Star – Office Design v2 Certified rating, the highest Green Star rating score in Sydney/NSW, which allows your company to significantly reduce its carbon footprint. Located on level 12, this Business Centre offers a range of workspace solutions to meet your needs and budget. This Centre offers options including business lounge access, co-work desks, meeting rooms and private fully furnished suites for 1 to 10 staff. The friendly team is always on call and with only 20 suites this centre offers a friendly and personalised service. Should you need larger more independent and customised office space, the “managed space” solution on level 1 offers suites for up to 25 staff. Managed space differs from serviced office space in that you can have dedicated meeting rooms, signage, custom fit-outs and discrete support from level 12 with access to all amenities including telephone answering and meeting room access at discounted rate. The Centre delivers a powerful and enticing blend of contemporary style and function. It is an A-grade building with premium services and facilities. It’s 31 floors comprise 38,000 square metres of sustainable office space with basement parking. The building overlooks Australia Square, Circular Quay, Sydney Harbour, Opera House, Botanical Gardens and the Harbour Bridge. Importantly, the building has achieved a 4 star Green Star rating together with a 5.5-star NABERS Energy rating and a 3.5-star NABERS Water rating. This very well positioned corner office space is newly renovated and minutes walk to all public transport which includes trains and buses. 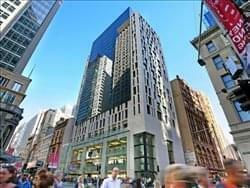 Based in the heart of Mascot and minutes walk to Mascot shops, it’s also a 10-minute drive to Sydney CBD. There is plenty of parking available which is completely free, so neither your nor your clients will need to pay for parking. This is a refreshing unique office space ideal for small to medium sized businesses. It has stylish fittings, a comfortable friendly atmosphere, and a range of excellent amenities. 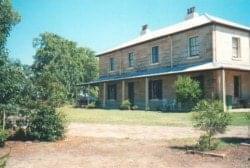 The space is in prime location, positioned right between Sydney CBD, Sydney airport and Port Botany. This center has recently undergone a complete retrofit with works including: a newly polished concrete ground floor, newly installed first floor timber floorboards, modernised his and her bathroom with shower, new kitchenette, new LED panel lights and a newly installed, motorized, palisade gate for security. This is a 137m² commercial space ideal for offices and creative/retail users with showroom requirements. 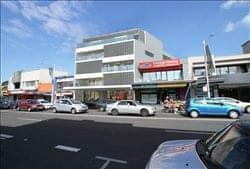 Boasting floor to ceiling glass windows the property is flooded with natural light and is located between the retail cluster consisting of Ron Bennett, Ray White and Industrie Clothing. The space offers a kitchenette and is fully air-conditioned, amenities including his and her bathroom and shower. There is high-speed cable internet installed ideal for e-retailing and a security system with an alarm and a newly installed roller shutter. There are plenty of signage opportunities, one car space & ample side street parking available. 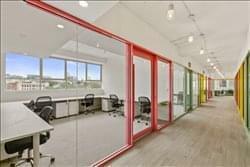 This recently renovated, modern office space holds the market solution for the gap in cooperative workspaces. There is a mixture of open work spaces, meeting rooms, and an elegant board room with facilities including a lounge and kitchenette and includes amenities such as internet access and printing. This is a great space to greet clients and hold presentations. Many co-working spaces out there are hives of distraction, and others reminiscent of cool “hot desking” spaces, this space goes above and beyond. The optimum meeting place for high level advisory in board strategy, executive search, HR and CEO coaching. A great, one-stop shop for clients seeking help in strategy, HR and talent expertise with planned monthly lunch and learns, TED level speakers and scheduled weekly community meetings for collaboration and lead sharing. This office space represents a bold new concept in office real estate. A coveted address, architectural design, and impeccable professional and personal services are all coming together to create a business environment of unparalleled prestige and sophistication. Offering 22 private office suites for one to five people, an array of meeting facilities, and a business concierge team. Created with the discerning business owner in mind, it will appeal to a local and international audience for whom design, service and a first-class experience are both a reflection of their brand and an extension of their personal style. This office space provides beautiful hand-made timber work suites for one-five people and access to the latest business technology and services. Step into a work space where your business is paramount. A place where modern and effortless luxury prevails, details are taken care of and a collegial, creative atmosphere is fostered. A sun-filled, naturally lit, fully equipped office space available for sublease at this forward facing office space. A plug-and-play solution, all you need to do it bring your own computer. Sharing the space with a small business from the music industry, the occupants would ideally love someone who is either in the music industry or offers services to the music industry, however the space is open to anyone looking for a private office space in the inner-west. Furnished with a desk, chair and some filing cabinets, you can come and go as you please and work your own hours as the office comes with it’s own key so you can access it 24/7. Amenities also include full WiFi access, access to printers, tea/coffee and kitchen facilities. 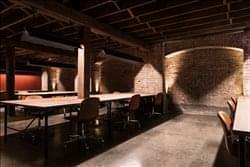 Set in a heritage warehouse in the original inner city Surry Hills, this centre is a light-filled, industrial workspace where artists and creatives can get inspired and build their business. The distinguished original architecture of the building, a combination of exposed brick, high raked ceilings and solid timber floors, is paired with an impeccably crafted interior fit-out, designed by Caroline Choker. Ideal for individuals looking to cultivate their creative business, this space is a home to a broad mix of individuals, including artists, photographers, writers, filmmakers, illustrators and designers. The centre is also a space for networking events, creative talks and somewhere to meet clients with a private rooftop and impeccably designed fully equipped meeting rooms. Reiterating the traditional coworking space, this centre is a professional, boutique members workspace attracting a network of business leaders, industry experts, innovators and entrepreneurs. 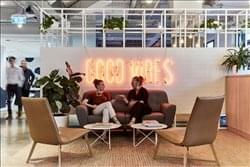 Converging the worlds of business and lifestyle, this centre provides an aspirational coworking environment for members to meet, innovate, collaborate and take advantage of the positive forces at work. The centre are there to facilitate and help you and your business flourish. With a national community that includes professionals in tech, finance, marketing and design, property, legal and business consulting, you will grow a network rich in quality contacts. The workspace allows you to collaborate and innovate or retreat and re-energise: work solo or integrate as you need and take full advantage of our flexible workspace. From individual or group desks to meeting areas and quiet lounges, breakout rooms, kitchen and outdoor spaces, all within a polished, professional and welcoming environment. As a member, you have exclusive access to our community web portal where you can get down to business by booking meeting facilities, sharing resources, skills and knowledge, or it allows you to connect with members across all of the sites on a social level. The best part is – the centre are a small business themselves, so understand your needs. There are no lock in contracts, no hidden costs or fees when you become a member. As your business grows, you can grow into the workspace, and be re-assured of the fact that you, as a member, are the number one priority. The centre provide access to you 24 hours a day, 7 days a week, and the dedicated Space Concierge is your go to resource during business hours. From greeting your clients, through to arranging catering and AV needs for meetings and presentations, the centre take care of the small things so you can focus on the bigger picture. Based at the top of the tower, this office offers spectacular views over Sydney Harbour, Hyde Park and Darling Harbour, all the way to the Blue Mountains in the west. The offices are spacious and have floor-to-ceiling windows for maximum views and natural light. This is a brand new quality fit-out, providing common areas like reception, large kitchen with break out lounge and free meeting space, open plan co-working space, lockers for visitors and professional meeting rooms with AV equipment. 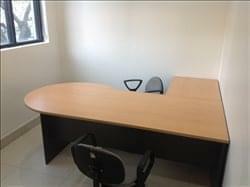 Offices also come fully furnished with brand new desks and ergonomic chairs and file storage while 500 MBps fibre optics internet and virtual phone solutions are also available to clients. The building offers hourly and monthly car parking, end of trip/shower facilities, 24/7 access and plenty of food options nearby. There is a cafe on the ground floor. 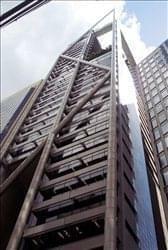 Located between Martin Place and Circular Quay, this is one of Sydney’s most unique and architecturally significant office buildings, offering one of the prestigious and strategic business address of the City. Designed by acclaimed architect Harry Seidler, the building features an enormous atrium of natural light stretching through the entire building and is the perfect space to set up and develop any business. A reception area is available for you to use as a waiting area for guests, where they can sit comfortably in the professional environment you choose to make your business at home. Fully-furnished space, with all-inclusive pricing, you can jump in and get working immediately – there’ll be nothing to worry about. Benefit from spacious meeting rooms, comfortable breakout areas, and communal kitchens in this fantastic central Sydney location. This building reflects luxurious atmosphere with its Parisian exterior and refined architectural details. It houses the prestigious Cartier Flagship Boutique and located on iconic Castlereagh Street, surrounded by high profile multinational brands flagship outlets. The office suites hold great appeal for legal and business services, positioning its tenants at the focal point of culture, leisure and the ever-active business district. Opening February – A flexible office space that offers private offices and co-working solutions. Frequent social and professional events are held. Jump on to the secure WiFi or connect to the hard-wired Ethernet. Meeting rooms of various size are kitted out with conference facilities and A/V gear. Phone booths are the ideal setting for quiet video-chats or phone-calls. Refreshing fruit water and micro-roasted coffee keep you hydrated and on the go throughout the day. The onsite management team are on hand to assist with any business requirements. A cleaning service ensures the space is looking its best. The Centre is on the 19th floor with water view and you have a 24-hour access as well as a security on the site. It has a harmonious, friendly and spacious office environment. A great office furniture which includes ultra-fast network speed and new Apple TV’s for all conference rooms. You can use the meeting room up to 100 hours and you have up to 3000 pages of using the printer. The Centre has friendly reception and front desk services available. Opening February – Bringing to life an inspired laneway culture, Barrack Place can be discovered at the key thoroughfare location between Clarence and Kent Street. The heritage precinct offers great inspiration for the space, originally home to some of the most beautiful brick warehouse buildings in Sydney. Having combined these visual elements with signature European aesthetic to create a distinct atmosphere found only in Barrack Place. 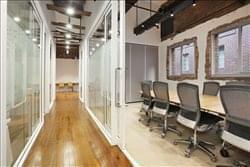 Featuring exposed brick and signature custom steel frame work and timber, this Sydney CBD location caters to organisations who seek a space that offers the network of a professional community, best in class all-inclusive business services and an inspiring work environment whilst having a dedicated, private space for your team just moments away from Martin Place. This centre is a private retreat in a gorgeous heritage-listed building, set right in the middle of one of Sydney’s heaving business districts. Beautiful interior design and open-plan designs mean that your desk in this building will be a joy to work at. Choose from part-time hot-desking memberships, dedicated desks in the coworking area, or a comfortable private office for you and your team. Got an important meeting with clients? Choose from the 10 available meeting rooms in the space, from one-person phone booths all the way to a 16-person boardroom. Super-fast fibre broadband, commercial printers, cycle storage and end of trip facilities are just some of the amenities included in this fantastic space. Three communal kitchen cover the centre, with offerings of free tea, coffee, bread, spreads and condiments, plus craft beers and boutique wines are available for winding down after a long day. A full-time community manager is available on-site during working hours for all your questions and needs. This world class centre features a unique outdoor balcony complete with a green wall, a central staircase connecting the two top floors & offers the latest in contemporary interior design for shared, flexible work spaces. 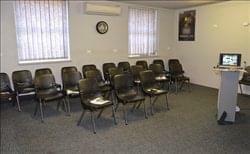 It also has executive meeting rooms of all sizes; one of which seats 22 and opens up for indoor/outdoor functions. The building has achieved a 4 star NABERS Energy rating and a 3.5 star NABERS Water rating. 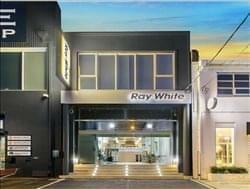 This centre in Surry Hills is made up of a sprawling 500 square metres of space. Made up of open-plan desks, private offices and amazing community spaces, this location embodies the creative interactions started by these MCA and Art Gallery of NSW alumni. Take your pick of offices, from part-time hot-desking memberships up to a full-time private office, all based around what you need. The space boasts four meeting rooms, available for hire when you need to impress those clients, plus a communal kitchen area with a massive 12-person table – ideal if you want an in-house team lunch. Super-fast fibre internet is included, along with cycle storage, end of trip facilities, plus free tea and coffee, bread and condiments in the kitchen. You can take advantage of discounted gym memberships, or if you need to relax at the end of the week, craft beers and boutique wines are available to all members. This building was built in 2000 and is a secure building with needing swipe card access to the main entrance and building levels. This space has both private offices and dedicated work stations available with fast fibre optic internet, boardroom/meeting rooms (included in the lease) and the opportunity to build your business with like minded businesses this space creates endless opportunities. Full equipped with desks, chairs and pedestals means the only thing you need to bring is your laptop. This office space and the staff who run it aim to nurture tenants and help assist with community building and networking. 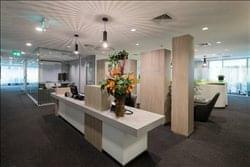 Located within a modern building on the outskirts of the Parramatta business district, this business centre offers a wide variety of offices to suit any company needs. Available at affordable, inclusive pricing and on super-flexible terms, this space offers an incredible number of amenities, including use of meeting and training rooms, access to an open-plan business lounge, a fully equipped kitchen, plus 24-hour secure access. Professional support staff are always on hand in this centre, offering services aplenty, including reception services for greeting your guests, answering telephone calls when you’re unavailable, handling your deliveries and general administrative support whenever you need it. Affordable and unique coworking space with wrap around Harbour and City Views. Access to meeting and boardrooms and on-site amenities. Hot desk memberships that suit your needs are on offer, providing five-day, eight-day, 12-day and full-month options. There is also a private office suite with accommodation for two people. The new architecturally designed fit out with employs a bespoke design approach which incorporates simplicity and utility with a palette of materials that evoke a warm functionality. Natural light fills this space. Workspaces are provided with super comfortable ergonomic seating, under bench storage unit and delineated with privacy dividers. 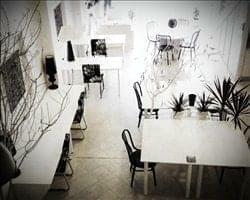 This office space is an exclusive co-working space that was originally set up for design related businesses and individuals, which offers amenities including a fully manned and catalogued sample library, meeting space with audiovisual setup, pin-boards, free internet, kitchenette and cleaning services. This space is ideal for start-up businesses, as you can take space on a flexible basis, plus all bills are included. To top it off, this centre is located on one of Sydney’s best boutique streets in Double Bay, which means it’s the perfect location to bring clients to meet to create an amazing first impression. This centre is a managed workspace designed with the needs of both new start and expanding business in mind, sharing space, equipment, services and networks. This is a super modern business environment, at amazingly competitive costs to ensure you’re not paying more than you need to. Easy in, easy out, no long term commitments means you can expand and downsize as you need to – this space is here for you and your company. The location within the Nirimba Education Precinct means you will also have access to library, cafeterias, ATMs, child care centre, recreation facilities including pool, and educational and training courses. This contemporary office space occupying the first floor of the building offers executive suites and open-plan office space, as well as virtual office options, all of which area available on flexible terms. The modern glass building means there is substantial amounts of natural light in the centre, providing a bright and airy environment. The centre also features meeting rooms, a business lounge and a refresh area. Offering a community feel like no other, you can be sure that the best interests of your business are at the forefront of what can be provided. Permanent spaces, hot desking and meeting space is all provided here to help you conduct your business, coupled with remarkable views of the busy city and surrounding area. Two fully equipped, farm-style kitchens and quiet lounges are available to eat and relax in when you need to take a brief break from your desk, and if you’re not looking for physical space, there is the option to pick one of the extensive virtual office solutions that offer everything from mail and guest management, to hot desk and meeting room access. Nestled in a beautiful terrace house in Surry Hills right by Central Station, this space is both a cosy, coworking space and a gorgeous event venue. They’re small and they like it – the coworkers all know each other’s names and pride themselves on being a supportive and collaborative community. With multiple spaces available for workshops, product launches, team meetings and photo shoots as well as the mix of retro and vintage style this space is designed to make you feel comfortable and inspired. The perfect shared workspace for organisations that want to build their business and brand within a professional environment. The building itself has recently undergone a full lobby upgrade and a refurbishment of lifts and services. This building is located in a prestigious address within close proximity to surrounding restaurants and bars. Only a 3 minutes walk to Central Station, great access to the Sydney bus network and seconds from dedicated cycling ways and bicycle friendly roads. This center occupies the ground and first floors of an office building offering high quality desk and office spaces with substantial natural light, breakout areas and meeting room facilities. There are many amenities including a number of boutique shops, a post office, office supplies, quality restaurants, cafes and bars all within walking distance. Parking is as easy at it is convenient right outside our center with no parking meters. The centre offers a perfect solution for local and overseas companies looking for flexible and fully furnished offices with professional services by the center team at a preferred rate. The center staff will also be there to meet, greet and accommodate your clients each and every time they visit. 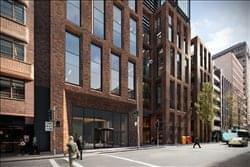 Designed by architects Denton Corker Marshall and built by Australia’s largest privately owned construction company Grocon, this premium-grade complex is considered to be achieving new standards for Sydney’s commercial architecture in terms of finish quality and design. This centre features contemporary office suites with provided ergonomic Herman Miller modular furniture, a highly secure IT infrastructure, comprehensively equipped meeting and conference facilities, stylish and relaxing breakout areas, plus professional office support services to ensure that your workplace requirements are always met. This strategically located centre at Australia Square provides fully furnished on-demand offices, virtual offices, modern and spacious meeting rooms and videoconferencing facilities at flexible leases and affordable rates. This is the perfect location for those seeking to establish a physical presence within the renowned area of Australia Square at an affordable rate. Australia Square, the Grade-A building is right next to international financial institutions and multinational corporations. It enjoys easy and quick access to retail malls, restaurants, hotels, public transportation and basement parking. This centre offers state-of-the-art technology and modern contemporary luxurious fit-outs sure to impress. Based on Level 32 with stunning skyrise views, an on-site barista and large open reception area, this location is sure to ‘wow’ all guests and clients. This centre have carefully crafted and designed the location to incorporate both elements of a healthy and busy lifestyle by providing sitting and standing desks along with all ergonomic seating. George Street is Australia’s smartest building with a 6 star green star rating for producing a highly environmentally advanced and sustainable building. The offices sizes range from a small two-person suite to a large 20-person suite. In saying that, the center always tailor make office solutions to suit your business needs and ensure that the space is right for you. With exceptional reception services and on-site admin support, a smarter, hassle free and flexible way of doing business in today’s fast paced world has been created, so that you don’t have to worry about a thing! Located in an impressive tower building within World Square, this centre gives Sydney professionals a truly special place to work. Across a range of offices, co-working areas and meeting rooms, this modern business centre allows entrepreneurs and creatives to work and collaborate in a flexible workspace that adapts to their needs. With a high-speed Wi-Fi connection available across the centre, friendly administrative support and a welcoming and warm atmosphere, this well-lit and inviting business space is the launch pad for your company. A centre with end of trip facilities and bike storage you can choose your commuting route without issue. This brand-new, all-glass addition to the Sydney skyline is the perfect place for your business. Five floors of coworking space, private offices, conference rooms, and event space in one of the most prominent corners of the CBD. A hyper-modern, A-grade building, it even has its own balcony terraces, perfect for a breath of fresh air with your coffee. With a design focused around “Bringing the outdoors in”, this centre is full of natural light, warm wood and leather. The centre offers and abundance of solutions ranging from meeting rooms, event space, virtual packages, coworking, hot desks and private office suites. Our space has been expertly planned and designed to achieve a luxurious feel. Each fit-out is classically modern, whilst remaining functional and well-designed. We use cutting-edge technology and state of the art facilities to create a welcoming and creative space. We offer tailored solutions and luxurious fit-outs, allowing each of our members to feel in control and inspired by the space. Our offices are flexible, functional and come 100% ready to go – with the ability to accommodate anywhere from 1 to 30 people. Three levels of retail can be found amongst the premium building, all linked to Town Hall railway station. This boutique offering overlooks the beautiful Town Hall. 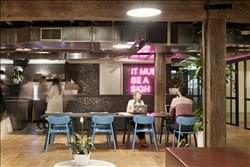 The co-working space has proven to be very popular and further growth opportunities are under review. This centre offers a community of over 55 members and a range of formal and informal workspace. The centre is located on Level 2 of the magnificent art-deco style building and offers a fantastic array of on-site amenities for its members. This business centre offers a prestigious business address and offices in the heart of Liverpool’s business and shopping district. The space is nice and quiet but still gives you the opportunity to network and grow your business, as it holds regular networking events and offers a complimentary membership with your office which allows you to work from any of thousands of locations globally. The centre features a comprehensive list of on-site facilities and business services including a dedicated receptionist on hand to assist with day to day tasks, answering and forwarding calls and greeting clients. The space offers both private and collaborative co-working spaces as well as virtual office solutions. This serviced office offers brilliant facilities. Tenants of the space can make use of the furnished offices, meeting rooms and boardrooms which are equipped with air conditioning and broadband internet. Administrative support is also available to help with any office needs, including reception services with friendly and professional staff on hand to assist with answering and forwarding phone calls as well as meeting and greeting guests. As well as this, access to other serviced centres are offered both nation and world wide, making this a wonderful opportunity to help with growing your business. This space is a unique share space concept, designed to grow a collaborative culture, specifically between creative and tech companies. With a variety of dedicated desks and offices with numerous chill out spaces to help you feel relaxed yet productive. Meeting and event space is also available for an added fee. The viewing deck has water front views and can cater for 30-70 people, the engine room can cater for 12-30 people while the thought bubble can cater 2-5 people. Please contact for current availability and pricing. Providing you with a fully furnished, air conditioned office of any size or combination. Currently there are 1–2 person, 3–4 person and 4+ person office suites available for lease. You decide the amount of space your business requires, then you choose the level of service you need. All office space is available for immediate start-up which enables you to move in and get on with your work without any disruption to your business operations. Located in a prestigious modern building complex, these offices are modern, quiet and private, with plenty of space for you to tailor the setting and keep your company culture. There are over 50 different office space solutions for anywhere between one and 15 members of staff. 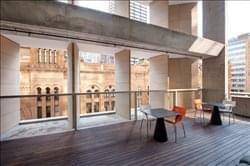 All this business space has plenty of natural light and views over the city skyline or Darling Harbour. You can be supported by a full admin team, available to help and assist you and your business at any time. Your company well-being is taken care of thanks to complimentary fresh fruit, fitness classes available during lunch hours, plus you can organise dry-cleaning or lunch when your team are too busy to run errands. You’ll benefit from access to a variety of meeting rooms, boardrooms and training rooms, plus virtual office solutions providing a CBD presence to your business, telephone answering and appointment bookings are also available. This location offers a custom designed premium office space perfect for your business. You will feel part of a close-knit and productive community where you can build relationships and friendships in the encouraging space. Both bespoke suites and open plan workstations are available. There are multiple breakout areas, latest printer technology, meeting rooms and lockable drawers. In addition to the standard facility services, the space can also provide a comprehensive suite of business services such as business mentors and CFO services. With premium office accommodation and an inspiring atmosphere, this centre is the ideal location for your business to thrive. This brand-new office space is an expansive, Nordic inspired haven, which allows clients to effortlessly and comfortably move throughout the day to work in areas that match their mood. The library, with signature handmade walnut bookshelves and antique library tables from France, will awaken your thoughts and inspire focus. Clients are able take advantage of numerous meeting rooms where the sophisticated backdrop stimulates innovation and the meditation area offers the perfect escape to find peace in isolation. Amenities such as 24/7 access, event space, concierge services, podcasting studios as well as workshop spaces and high-speed WiFi are also available to clients. Opening January – Bringing a fun and edgy environment to the business district. This centre handles everything, so you can spend more time growing your business. These flexible and convenient terms are designed to suit any business, whether you are a start-up, established business or you just want a home-office alternative. Be part of an exciting work environment with a great creative vibe and engaging sense of community. Helping to connect your business with like minded companies and allow you to connect with a variety of businesses, all while being under the same roof – networking has never looked so easy. This fully-equipped, modern office space provides a complete business solution for your company. 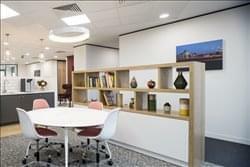 Each fully-furnished office suite is individually tailored to your business’ needs – Offering both co-working and private serviced solutions fully equipped with cutting-edge technology, 24-hour access to the building, excellent security, meeting rooms and conferencing facilities as well as readily available parking facilities. The centre also features a modern reception area with friendly, helpful staff on hand to greet guests and answer calls. The office space is available for immediate occupancy. Situated alongside some of Sydney’s most recognised landmark towers, this building stands at the pinnacle of Sydney’s business dress circle. It’s optimum position on the prestigious eastern border of the central business district, captures one of the most sensational views in the world with an uninterrupted panorama over Sydney Harbour and the Royal Botanic gardens. A centre offering read-to-use office spaces both external and internal facing, virtual offices that provide credible and professional presence at minimal cost, informal business lounges, and fully-equipped meeting rooms for interviews, training, client pitches and presentations all on flexible terms. 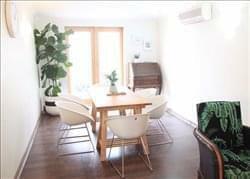 With easterly aspects and plenty of natural light, the fully secure/private, rooms are fully furnished with as new Haworth furniture, including; desk, ergonomic chairs, Samsung LCD HD TV and “click share” laptop connectivity. The rooms also provides touchscreen lighting and HVAC control. The total monthly price includes access to the following amenities, Wi-Fi, Local/National Phone-conferencing (Polycom), printing and scanning direct from your PCs, Nespresso tea and coffee service and on floor lockers and access to the shared Business Lounge. Join a professional co-working community designed to help you thrive. Whether you’re an independent business professional, specialist consultancy, established social entrepreneur or a large organisation wishing to give your employees or project team workspace flexibility, this is the place for you and your business to thrive. As a member you can access these offices in exclusive CBD locations including Sydney, Melbourne, Brisbane and Canberra. This workspace provides the platform for you to enhance your business credibility, stand out from your competitors, enjoy your work life, attract and retain staff, and grow your business. From hot desks in open, collaborative workspace to private offices, the center has a range of flexible options in architecturally designed, tech savvy spaces that breed the interaction, familiarity, connection and success that are the hallmarks of great co-working. This bright and open office space is equipped with spacious desks which can cater to the needs of any business, whether you’re part of a start-up or you’re well established. The office is a friendly and professional environment and the space will be shared with creatives from the architecture and design industries. All furniture is included and you can benefit from access to two meeting rooms, shared kitchen facilities, a photocopier/printer, plus internet access. Finally, the building is secure and has 24-hour building access so you as a tenant can sleep soundly knowing your possessions are safe. This centre offers a full range of excellent serviced offices, along with a selection of business support services to suit your needs, including postal services and security team. A new kind of office solution offering bespoke spaces for your business. Get big business treatment while remaining independently you. With premium offices that allow you to grow, change and streamline all while allowing you to work, collaborate and ideate. Leases are flexible, with no costly fitouts, complex contracts or long terms, and the spaces are fully furnished meaning they are ready to go! Need to increase your office space? No worries. At this centre you can adapt your office to match your needs within a few hours as there is a unique turnkey layout. Each suite comes with high, end furnishings with sophisticated, clean decor that give an industrial feel, and all offices are externally facing to provide ample natural lighting. The centre is situated on level 23 and offers breathtaking views of the city, high quality offices and some of Sydney’s best meeting room facilities, making it the ideal setting to showcase your business in a contemporary environment amongst some of Australia’s leading corporate institutions. This tower is a landmark building located in a premium location. The tower was originally designed by PTW Architects and constructed by Civil and Civic in the mid-1980s for the State Bank. In more recent times, it has become the Central City headquarters for Colonial First State Property and now incorporates a major CBD broadcasting facility for Network 7. 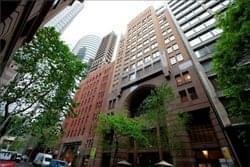 This landmark business centre occupies levels 10 and 11 and provides remarkable views overlooking Martin Place and some of Sydney’s most historic sandstone buildings. With its signature glass profile, it casts an impressive figure in Sydney’s most respected business address. Offering the highest level of comfort and amenities in its high quality offices and some of Sydney’s best meeting room facilities. This centre is the ideal setting to showcase your business in a contemporary environment amongst some of Australia’s leading corporate institutions. Opening April – Co-working and private office space that provides amenities for needs you didn’t even know you had! Part of a global network of workspaces where companies can grow together organically, in a community driven workspace that has been designed to promote productivity whether you’re part of a team or an individual. Hosting networking events, lunch-and-learns, and community engagement events this centre encourages you to be part of the bigger picture. The centre offers flexible, month-to-month options so your business is not constrained and remain agile. More information on this location is coming soon, but inquiries are gladly accepted. Get in touch today to schedule a visit. This office space is located in the heart of Pyrmont, just two kilometres north-west of the Sydney central business district. The centre is located on the first floor of one of the suburb’s most iconic landmarks, the former Festival Records Headquarters, this impressive business centre features art deco style inside & out. The business centre will appeal to those seeking flexible and fully equipped office spaces with professional office services at a reasonable cost, supported a high standard of service. Clients of the space also benefit from dedicated receptionist services, including call answering/forwarding services. Double Bay’s newest office precinct offers the latest technology, quality furniture and the most sumptuous surroundings. Everything you need is right at your fingertips including an extensive list of complimentary and optional services, state-of-the-art facilities, and support from highly trained, attentive staff. With public transport and ample parking close by, the location offers easy access for both pedestrians and cars. It is a harbour-side space with a few paces from the water and the adjoining park and a shared private wharf. The office is filled with natural light, but there isn’t any glare on your screen. The boats silhouetted on the bay at dusk tell you it’s time to head home in the winter. 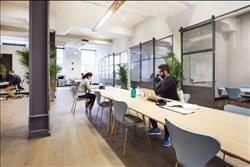 In co-working spaces you’re jammed in, bumping elbows but at this place you have more than fifty square metres for just six people – they could add another couple if you take the whole space. The other half of the office only has 1-2 people working there. They’re building cutting-edge virtual reality stuff there. You’re welcome to use the gear and explore the best of VR in your downtime. This central Sydney address is one of the city’s premium landmark towers, and offers spectacular views over the Sydney Harbour. With private rooms which contain plenty of natural light, are ready-made and fully-furnished, these executive serviced offices are the perfect place to begin growing your business. The centre provides numerous amenities to make your working day more comfortable, and to help meet your business needs. These amenities aren’t limited to; 24-hour access, meeting and boardroom availability, administration support, plus an on-site receptionist for guest greeting. With a convenient location, state-of-the art facilities, and impressive views this is a superb location for your business. This beautiful office space is located on level 9 of an iconic Art Deco building and situated in the heart of the financial district on O’Connell Street. Recently refurbished, it has an abundance of natural light, as well as windows that may be opened. The space available is furnished with eight desks, chairs, phones and data access, all you need to do is move in. This is a serviced office, which is fronted by a classic and well appointed reception that provides guest relations, boardroom and catering support. The floor has 3 meeting rooms and a board room, as well as kitchen facilities. This serviced centre is located within the Zenith towers, a striking and modern twin towers development in Chatswood, on Sydney’s North Shore. One of the most recognisable structures in the area, the architectural design of the twin towers is spectacular. There are panoramic views of the Ku-ring-gai National Park and the northern beaches from the centre’s 20th floor offices, which are sure to impress any first-time visitors. Take advantage of the 24-hour access available, plus the meeting and conference rooms, business lounge and comfortable and relaxing break out areas. The on-site, professional reception team are available to greet your guests, answer your calls and handle your mail in order to minimise the amount of worries you need to have while working. 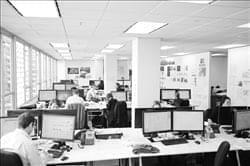 An office that occupies one of the tallest structures in the city, with fantastic views of Sydney Harbour and surrounding city from external offices. This site has everything a company could need, with a huge range of facilities available from fully furnished offices to drop-in business lounges, training rooms, meeting rooms and conference rooms that cater up to 100 people equipped with videoconferencing facilities. Offering private parking, an on-site café bar, and end of trip facilities, this space has your business needs covered all in a building equipped with the latest communication technology. 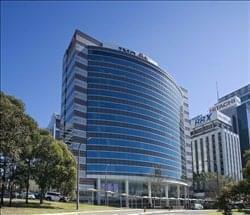 The centre is undeniably one of Western Sydney’s finest commercial office spaces. The impressive high rise, glass-fronted building is only 500m from Westfield’s’ large retail shopping centre, and is in close proximity to banks, restaurants, cafes and hotels. The offices include professional meeting rooms and secure underground parking. Parramatta is among the fastest-growing regions in Australia today and more than 20 percent of Australia’s top 500 companies have a strong presence there. Important industries in Parramatta include manufacturing, construction, trade, transport, finance and insurance. Office space and layout can be customised to suit your specific needs. Individual serviced office suites are sized from 1–20 workstations, and can be combined into larger workstation grouping of any size. Serviced offices come in both open-plan and management suite layout, with the latter offering senior managers private offices within their company’s office space. 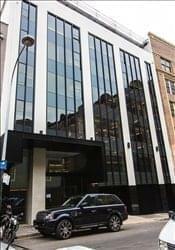 This business centre is right in the heart of Sydney’s central business district. Located on floors four, five and twelve of a modern office building, the centre is just two minutes walk to Wynyard Train Station and three minutes from the Australian Stock Exchange and key government offices. Many of Australia’s largest financial institutions have offices nearby as well as the regional headquarters of multinational banks and insurance companies. As the economic hub of Australia, Sydney has grown to become an increasingly wealthy and prosperous city. On top of being home to many financial services companies, Pitt Street is also the retail heart of the city. Due to the quality of life it offers, Sydney is usually rated in the top ten of the world’s best places to live. The office space is well placed for the lively cafe culture and bar scene which is distributed throughout the central business district. Practically opposite World Square, this business centre offers affordable private offices for 2 to 9 staff in a boutique setting that feels like your own dedicated office space. Plenty of break out and meeting space as well as great views over Darling Harbour make this a sensible choice for budget conscious businesses that demand a more spacious setup and do not require a staffed reception. The building itself has plenty to cater for the active worker with end of trip facilities, while the office space offers plenty of break out space along with IT support and meeting rooms. All prices come all inclusive. 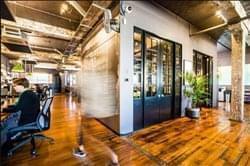 This sun-drenched New York-style loft space is a thriving business hub in the eclectic Surry Hills district of Sydney. Offering low-cost, beautifully designed coworking spaces, this centre allows you to create authentic connections with access to everything your business could need. Flexible leases help ease the worry of being tied down, or stuck in a space that’s too small for the entirety of your contract. Benefit from administrative support if you need it, and you can be safe in the knowledge that this space offers professionalism without stuffiness, and a fun, fresh space to work and relax. This centre has been recently upgrades with new workstations and chairs. Providing a comfortable dedicated work space with an equipped kitchen, high speed optic fibre internet, complimentary tea and coffe, and flexible access hours for your convenience. Also providing you with optional paid amenities like state-of-the-art meeting rooms access, mail service, receptionist and accounting services, class and training room facilities, and car parking. Attractive monthly plans create flexibility for your business, and with a network of out-of-the-box thinkers, you will be able to collaborate and seek opinions and advice on your own projects. This business centre offers instant and affordable offices with flexible sizes, no fixed terms, no lease contracts, unlimited free refreshment and on-site parking. These offices include fully managed IT infrastructure, meeting rooms, boardrooms, full time receptionists and secretarial services. No power bills, no outgoing rates. Just move in and stay as long as you need and expand as much as you require. This centre is located a 16-story building with a welcoming ground-floor reception. The centre contains 143 fully furnished, fully equipped, ready-to-go office suites with meeting rooms on every floor. Two floors of conferencing and training facilities are available where all your business requirements will be met. In addition to this, the building offers great natural light, professional and friendly on-site staff in a warm working environment and contains serviced offices, non-serviced offices and virtual offices. 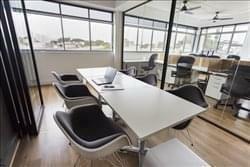 Small private offices suitable for one person up to larger office suites that can cater up to 100 or more are available. This new 35-storey building boasts its own courtyard and offers views onto Darling Harbour and the city skyline. This landmark building features a helipad, secure underground parking and 24-hour access – perfect for early morning starts or late night working. The site offers a top-of-the-range communication system, including high-speed Internet access, ISDN compatibility and videoconferencing equipment in the available-for-hire boardrooms. 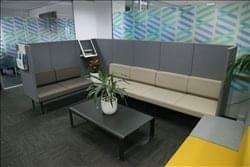 Take a break in the comfortable breakout areas, where you can chill out with colleagues or hold an informal catch-up. Communal kitchens are available for your lunch break requirements, and complimentary tea and coffee mean you won’t need to suffer from caffeine withdrawal while you’re working. This building boasts 100 offices on 13 levels, large windows and high ceilings providing plenty of natural light. The building offers a professional ground floor reception, boardrooms and meeting rooms of various sizes on each floor, state-of-the-art training facilities, a stylish tea room and a photocopy room on each floor. This five-star furnished and serviced offices provide versatility and choice to meet your specific business needs. Our full-time reception staff, on site management and support services teams provide seamless assistance. Also on offer is a day stay office which is a secure furnished space designed for those people who really just require an occasional private base to conduct business. With no minimum terms, no setup fees and no fuss you can hire a quality space in a prime location. As a tenant, day stay offices are available in any of our locations nationally. Occupying 4 floors, including the top two floors, this thriving space appeals to all generations, as it marries in the contemporary feel of its style and fit-out with the heritage of its building. This fusion is present in the communal feel of the space, boasting full kitchen facilities including coffee, selection of teas, and filtered water. Cleaning, electricity and premium air-conditioning and all outgoings included. There is a funky and uniquely original feel to the location which marries elegance and natural light with ease. This space is designed to promote productivity whether you’re a team of one or 100, and month-to-month flexibility means your space is just as agile as you are. The outdoor balcony offers a landscaped environment perfect for coffee, yoga, lunch, or one-on-ones. Beyond desks, staff, and amenities, find a community of forward-thinking companies and in-house events that connect you organically. Clients of the space can take advantage of a comprehensive list of inclusive amenities and facilities including coffee on top, spacious break-out spaces and dedicated reception and support staff on hand to answer calls and greet guests. To obtain information for your selected Sydney Serviced Offices, please tick the "Add to basket" box for each office you prefer and complete the form below. We will then send a detailed report via email.